There is a traffic accident on the highway, which hydraulic jack played a vital role in the inside, a bus faster, in front of a large truck suddenly slow down, although the bus also stepped on the brakes, but dodge Less than the rear of the truck. At that time sleeper car sleeping passengers have been ejected the bed, a lot of people are rolled together, followed by the rear of the vehicle hit up, the bus has been a sharp trembling. Fire brigade rescue officers quickly rushed to the scene, the use of hydraulic dilator and hydraulic cylinder jack will be the co-pilot position of the trapped personnel carried out, sent ambulance. Subsequently, the two groups of staff together to deal with other matters, the staff of the casualties to a minimum. Accident rescue in the firefighters applied to the hydraulic jack played a great role, it helps the injured staff quickly rescued from the car, for the treatment of time, to avoid the consumption of time and delay the best treatment time, so that the hydraulic jack in the accident brought the hope of life. 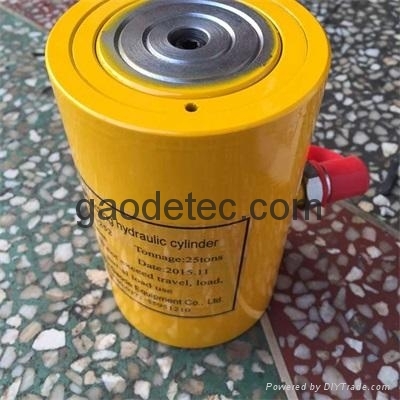 In addition to the disaster relief play a significant role, hydraulic jack as a jacking device in the factories and mines, transportation and other departments as vehicle repair and other lifting, support and other work also played an irreplaceable role.